The IBJ reported recently that Simon plans to invest in their malls by developing mixed use space and making use of space lost to once-giant retailers that have since shuttered their mall doors. Although not the only one, Simon is the largest mall landlord to take this tactic to breathe new life into existing mall property. When so-called anchor stores leave, a huge vacancy exists, along with prime parking that can all go toward another development. The article reported on King of Prussia mall, near Philadelphia PA as a prime example of taking over a former anchor store spot with an eye toward future mixed-use space. In the case of this area staple, King of Prussia Mall lost anchor store J.C. Penney which left a gaping hole in the mall's otherwise-full roster. According to the IBJ, CEO David Simon says that in the future, the anchor spot left when Penney's closed will transform the 17 acre area to what he called a “suburban version of Hudson Yards” - a huge development of offices, retail, and dwellings on Manhattan's west edge. In October, without committing to the exact project, Simon indicated that the vacant store and parking lot could soon transform into a hotel, apartment building, and/or offices. Simon is also currently undertaking an overhaul of Phipps Plaza in Atlanta, which already occupies real estate in the city's tony Buckhead district. Soon the Plaza will boast the city's first Nobu hotel, including the hotel's premiere gourmet Japanese dining experience. 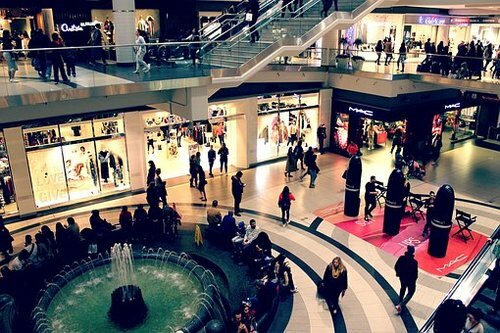 According to the IBJ data, Simon has been spending $1 billion annually upgrading existing mall property and plans to continue for the next several years. With its $53 billion market value, they're also in a better position than some competitors to navigate the road ahead. Rick Solokov, Simon's chief operating officer, says that they are focused on making their properties more relevant as well as generating returns at the same time – and not just playing defense against the onslaught of online sales. While the face of retail may be changing, the successful malls are evolving – by creating mixed use space and by focusing on experiences as well as simple shopping. Home-state mall landlord Simon is leading the way by upgrading vacant mall space to mixed-use space and creating a modern destination to keep the traditional mall relevant and enticing. Other mall landlords may follow Simon's example and look to develop vacant stores and lots into non-retail space to transform aging malls into a multi-use property.